Integrate your shopping cart with HubSpot (click here for documentation). Make sure you pass all relevant shopping cart fields into HubSpot. My recommendation is generally to pass in all fields minus credit card and billing information. 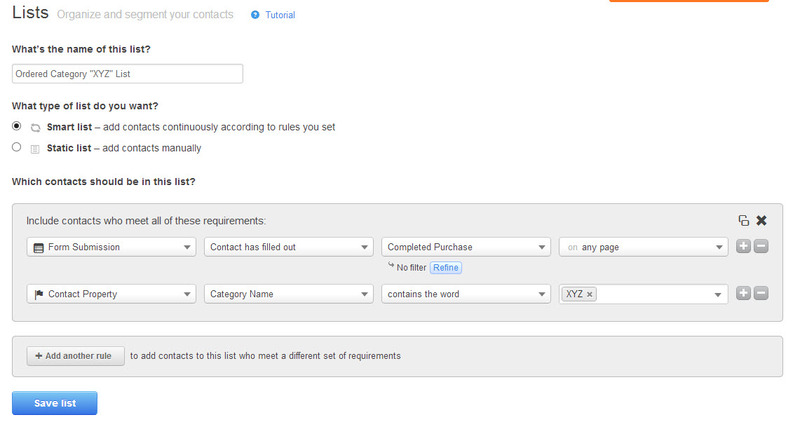 Create Recommended and Upsell custom property fields. 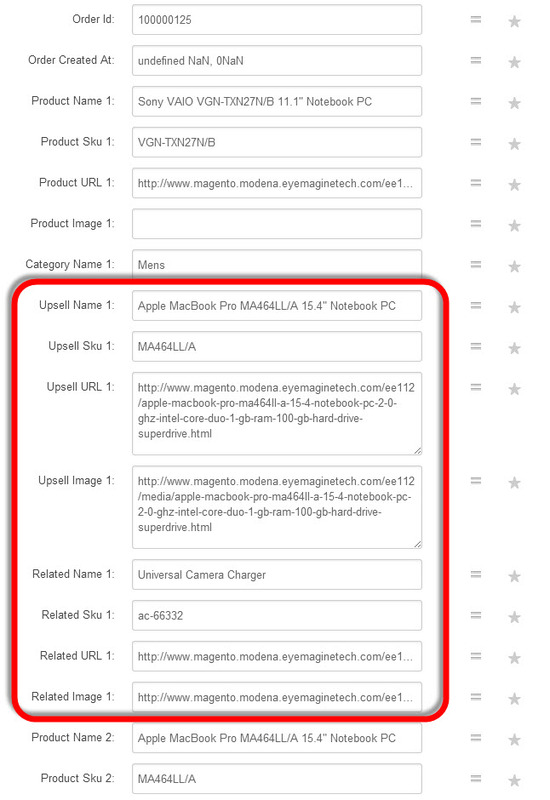 Some shopping carts, like Magento, can auto populate these fields for you based on the item a customer purcahsed. If that is the case, make sure that you include these fields when integrating your shopping cart. 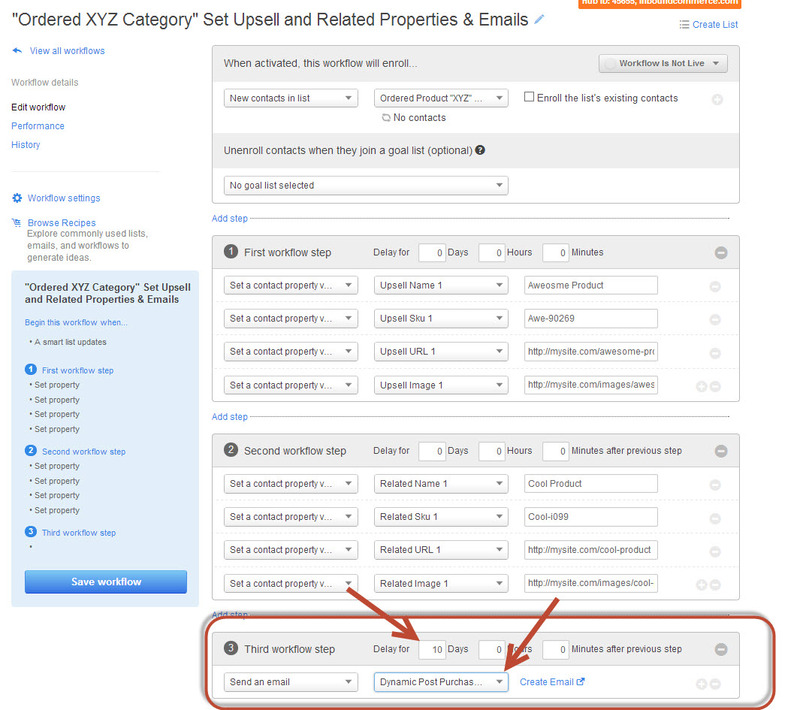 If this is not the case, you will need to manually set these properties using Workflows in HubSpot detailed in Step 4. Create Smart Lists for either category or products purchased. 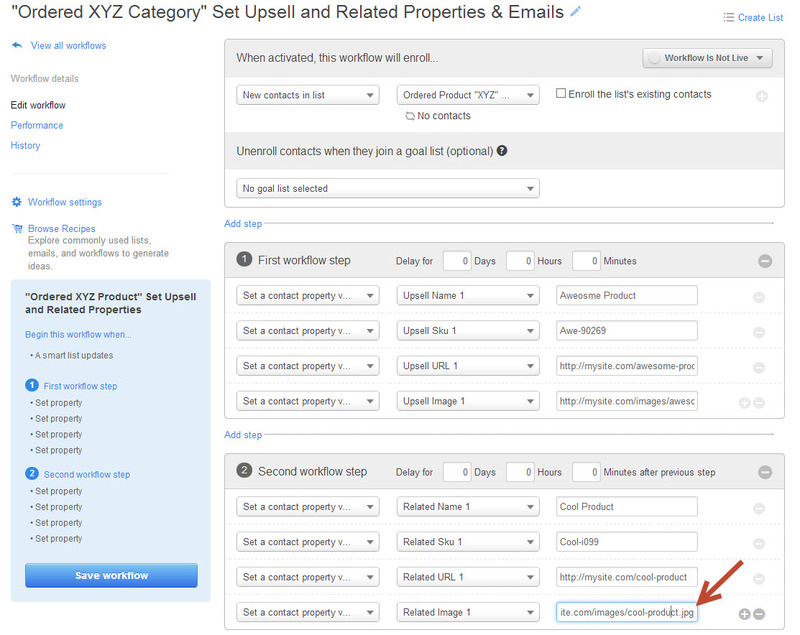 Create Workflow that populates Upsell and Related properties. * Skip this step if your shopping cart auto-populates this information for you. 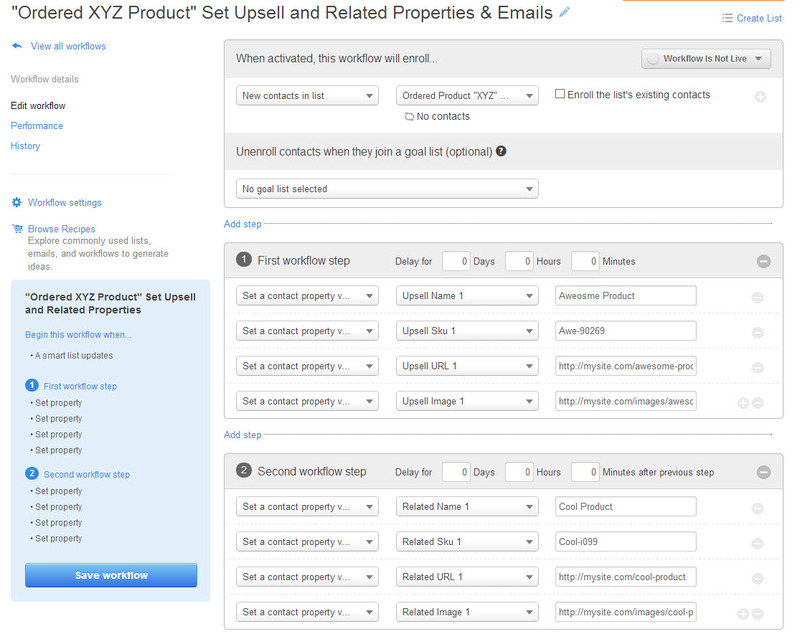 Indicate to HubSpot what should be included in the Upsell and Related Product fields through the workflow automation tool by setting these contact properties. We will use these contact properties in the dynamic email template. Notice in the example below how the Image URL is the link to the image and the URL of the item is the url to the product page. We now need to create the emails that will be sent in the Post-Purchase Email sequence. We will use HubSpot's dynamic content to alleviate us the pain of creating a new email template for every single product or category purchased email sequence. We accomplish this through dynamic content tokens in the email. The below example shows the use of the tokens you need to setup. These tokens can and should be written into designed email templates branded for your business. 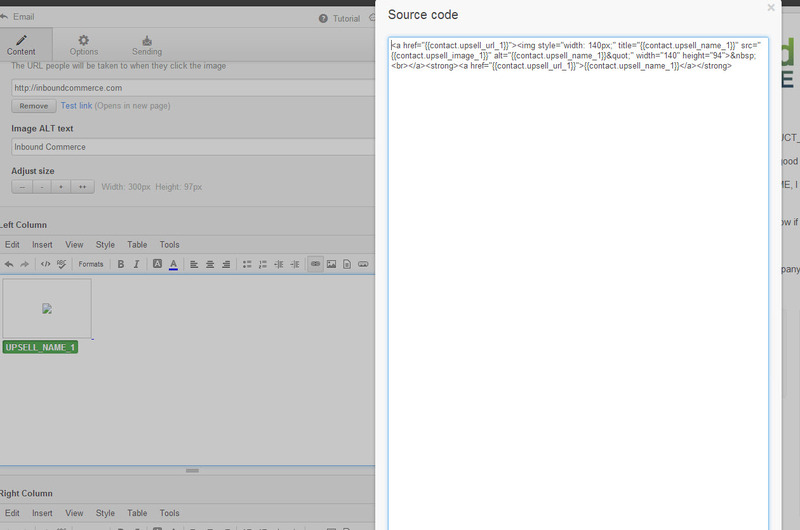 Create this code, or variations of it, into your email templates into HubSpot. You can add these code to any section of the email tempalte that you would like. 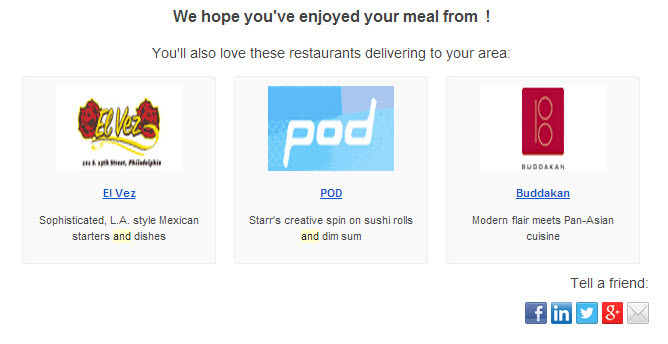 *The restaurant name does not display in the example below because I sent this myself as a test, I did not actually order from a restaurant, hence HubSpot did not populate this field and left it blank. It will populate for real customers. Add Post Purchase Email to the workflow. Now you simply need to add this email to any post purchase workflows that you setup. The dynamic tokens make it usable across all workflows. So you should use this email template in all of your workflows! Make sure to set the time delay that makes the most sense for your customers. 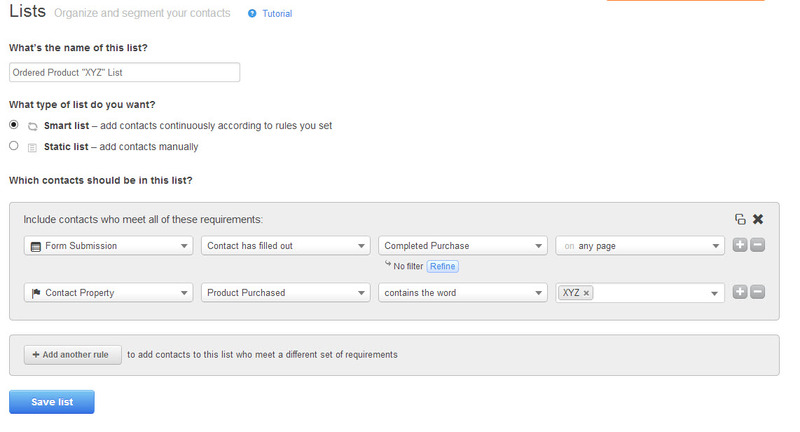 Repeat Steps 3, 4 and 6 for all categories and products you want to setup post purchase email nurturing for. The end result should be workflows for your categories or products that you want to setup for post purchase nurturing. 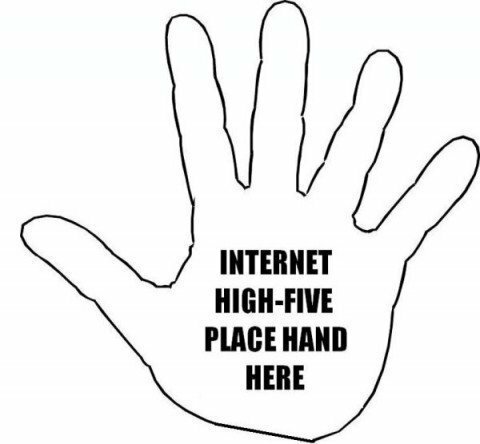 Activate the workflows and give yourself a high five. Congrats! 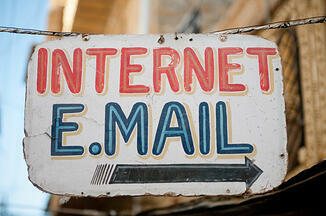 You just setup an impressive Post Purchase Dynamic Email Automation solution. I hope that you received some use out of this tutoiral. 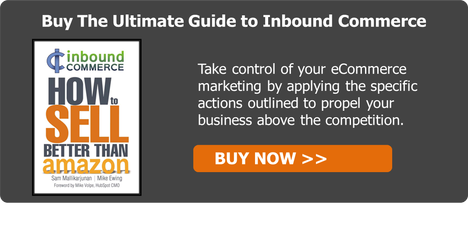 If you are interested in learning more about eCommerce Inbound Marketing, I suggest you pickup a copy of our book by clicking the image below. Thanks for reading - let me know your thoughts in the comments!